Preheat your Yoder Smokers YS640 to 425ºF. Place the garlic cloves in a pouch made of aluminum foil. Add a couple of tablespoons of olive oil to the pouch. Roast in the cooker until tender, 20-30 minutes. Remove from pouch and dice. 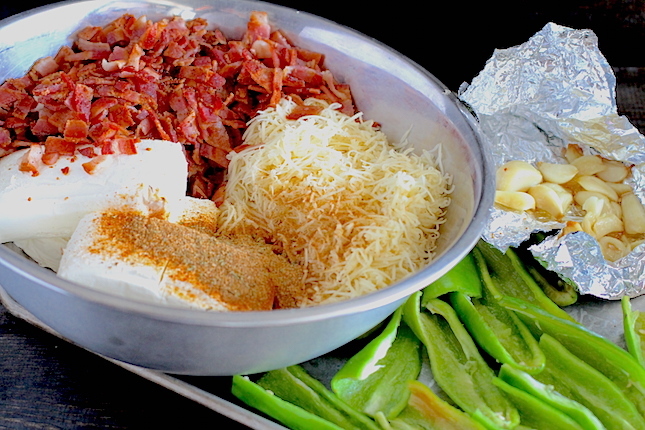 Mix together the cream cheese, cheddar, bacon, Cattleman’s Grill Steakhouse Seasoning and garlic. Fill the pepper halves with the mixture. Unfold the thawed pastry sheet and place 4-5 stuffed peppers stuffing side down on the pastry. Using a paring knife, cut the dough around the peppers. Wrap pastry around stuffed peppers and arrange on a baking sheet. Whisk together egg and milk. Brush egg mixture over poppers. Bake until golden brown, about 40 minutes. A couple of weeks ago we talked about what a great ingredient puff pastry is to have on hand, and how it’s uses go beyond breakfast and dessert items. 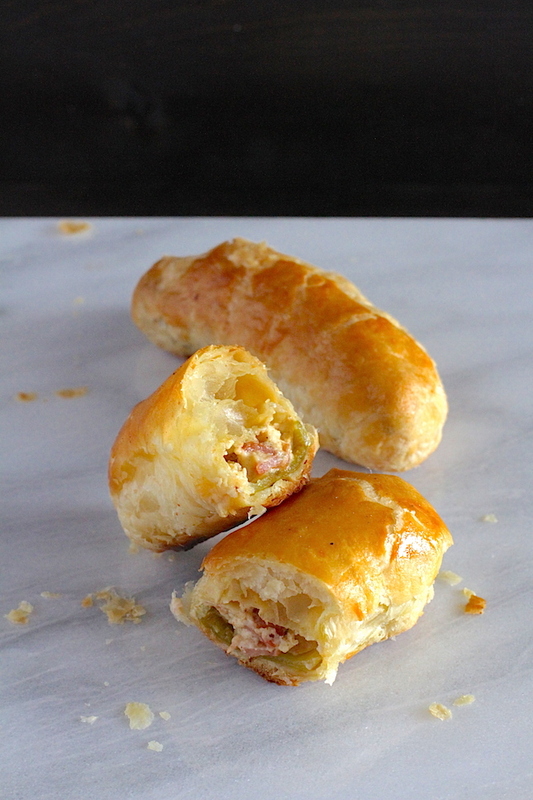 This week we’re back with another great puff pastry recipe, and we’re going savory again. You BBQ enthusiasts are probably familiar with ABTs, the barbecuer’s take on jalapeño poppers. 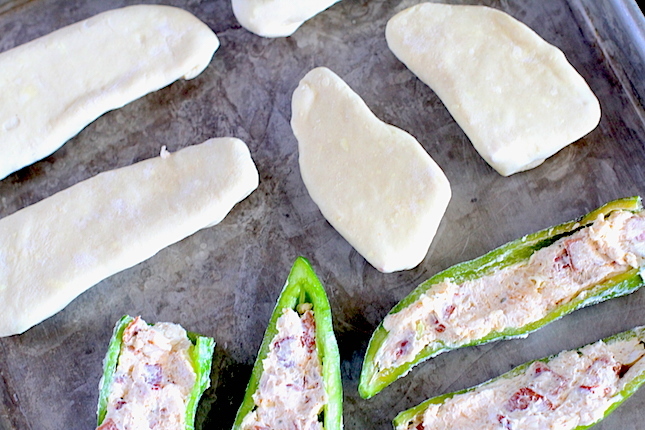 We’re tweaking those ideas a little more for this flaky, creamy, chile-centric appetizer. With a fresh batch of Pueblo chiles from Colorado, we’ve been throwing chiles at anything we consume. These chiles, similar to New Mexico’s Hatch chile, have great flavor and medium heat. Of course there are varying levels of heat available in Pueblos or Hatch chiles, but these are somewhere between an Anaheim and a Jalapeño. Choose your chiles according to you or your guests’ tastes and tolerances.